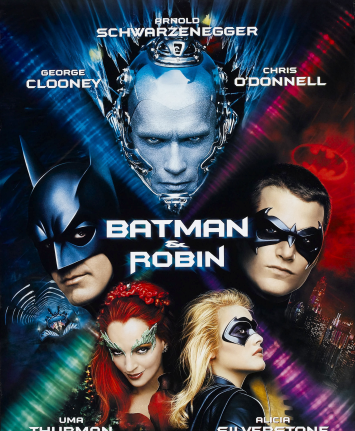 Episode 6 – Batman & Robin (1997) with Joe Preti | Podcasta la Vista, Baby! This entry was posted in New Episode and tagged akiva goldsman, alicia silverstone, arnold schwarzenegger, bane, batman, batman and robin, batman v superman, chris o'donnell, george clooney, ice puns, jesse ventura, joe preti, mr. freeze, poison ivy, uma thurman, victor fries by Mike Gillis. Bookmark the permalink.